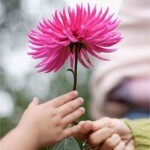 MASadvise.org > Blog > estate planning > Thinking about an Estate Giving Program? Thinking about an Estate Giving Program? From time to time MAS registered charity clients ask, what is Estate – or Planned – Giving? Should we consider expanding our fund development program to include Estate Giving?Thinking about an Estate Giving Program? In order to “demystify” Estate Giving, we will be publishing a series of blog posts over the next few weeks. Each post will provide practical information about Estate Giving, determine if your charity should establish a program, understand donor motivation, how to prepare and launch a program and maintain a program over time. What is an Estate Gift? An planned gift is any gift – outright (today) or in most cases deferred (typically through an Estate/Will as a bequest) made by a person in a planful manner with forethought about longer term benefits to a charity and financial implications of an individual donor. Deferred estate gifts are also referred to as Estate Gifts. Estate Gifts are usually made from capital (assets) not income and are often prepared in consultation with professional advisors including during the creation or updating of an individual’s will. They tend to be large in size (many times larger than a donor’s annual gift). They may be revocable (not binding, could be changed). Have questions or want to discuss setting up an Estate Giving Program? Click here to request assistance from MAS. Coming up next: Is your organization ready? Tom is an advisor in philanthropy, working with families and their advisors, corporations, foundations and charities guiding them to fulfil their philanthropic goals. Tom chose a career in philanthropy and fund development after more than two decades as a volunteer with community and not for profit organizations. He has extensive private sector and charity/not for profit consulting experience in business planning, fund development, sponsorship and fundraising. Tom joined MAS in 2015.